A group of organized people with the same political aim, ideology, objective, and program are called political parties. To compete for election and get a majority in the legislative, to form the government according to the constitutional process and lead the nation according to their political principles, practices and ideology are the main objectives of political parties. Democratic parties are those parties which are formed under the principal and the ideology of the democratic system. There will be two or more than two parties with their political aim, ideology, objectives and program. Mono party refers to the single party which rules over the country. There is no system of opening political parties and competition among the parties to take part in the election. The following criteria should be fulfilled to open a political party according to the interim constitution of 2063 B.S. The conditions are mentioned in part 18 and Article number 141 and 142 of the interim constitution of 2063. There should be an effective provision in the constitution of the party to keep the members of the party disciplined. There should be the provision of the election in the constitution or the rules of a political party at all level at least once in every five years. The constitution, manifesto and the rules or regulations of the political party must be under the norms and value of the democratic system. There should be provision for the inclusive participation of the members of neglected and oppressed groups and other indigenous tribes in the executive committees at various levels. The following terms and condition should be fulfilled to register a political party in Election Commission in a democratic system. The following terms and conditions should be fulfilled to open a political party according to the interim constitution of 2063 B.S. because the political parties should be registered with the Election Commission to take part in the election. i) A collection of signature of 10000 of citizens should be submitted along with the application. ii) A political party should apply for the registration along with the constitution, manifesto, rules, and regulations, etc. iii) The name of the political party and emblem must not be based on any religion. iv) The name of the political party and address of its head office should be mentioned in the application form. v) The political party must not have any sense to discriminate on the basis of class, religion, caste, tribes, etc. vi) The name and address of a member of each of the executive committee or the committee member similar to it must be mentioned. vii) The details source of fund and its way of collection should be clarified in the application form. Nepal could not have achieved the followings without political parties. Great roles have been played by political parties to establish democracy in Nepal. They have played a great role to unify Nepalese people. The following are the roles of political parties to bring positive changes in the country. i) The political parties were the main source of fighting against Panchayat system, autocratic system and the direct rule of former King Gyanendra. ii) The first political party of Nepal, Praja Parishad that was established on 20th Jestha 1993 B.S. had contributed a lot to end the Rana system in Nepal for the first time in Nepal. iii) The political parties have played a great role to bring social, economic and political changes in Nepal. The political parties were the source of inspiration to make to make the people united to raise their voice against the autocratic system. iv) When late king Mahendra prohibited political parties n 1st Poush 2017 BS., the political parties secretly launched various movements against the autocratic system, Panchayat system. v) The political parties also played a great role to reinstate the dissolved parliament and introduce Loktranta on 11th Baisakh, 2063 B.S. through people's movement II. vi) Because of sacrifice and hardship of Nepali congress and United Leftist Front, they were successful to restore multiparty democracy on 26th Chaitra 2046 B.S. i) The seven political parties and the Maoist strongly played a great role to establish democracy in Nepal. ii) It was the achievement because of the political parties which were possible to conduct the general election for Constituent Assembly on 28th Chaitra, 2064.
iii) The political parties continuously launched the revolutionary movements against the direct rule of King Gyanendra for 19 days. iv) The credit goes to the political parties to promulgate the interim constitution under the norms of Loktranta which was promulgated on 1st Magh 2063.
v) Because of the hardship of political parties, the Nepalese people were able to get Loktranta on 11th Baisakh 2063.
i) The political parties should work for the welfare of the people and the country forgetting their personal and the party interest. ii) They should bind thought and opinions of the people together and work according to the people's will. iii) The political parties should act as the bridge between citizens and government by supporting and opposing good and bad function and deed of government respectively. iv) They should maintain peace and order in the nation by waking the people about the socio-culture conflict, discrimination, and violence among the various tribes, castes, ethnic groups etc. v) They are the source of inspiration so that they should always make the people aware of fighting and working for the protection of national sovereignty and integrity. vi)They should maintain the social harmony among them and should create mutual understanding. vii)They should be cooperative and helpful to each other. Nepal democratic party was established in 2064 B.S. under the norms and values or respecting the sacrifice and hardship of people's mass movement II. Its major aim is to promote Loktranta brought by the people. It desires to work under the norms and values of Loktranta. 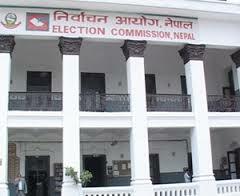 It is one of the registered political parties in the Election Commission. It was established hoping to be the most popular party in the eyes of people. i) Its constitution has been prepared under the norms and values of Loktranta. ii) It has tried its best to make the inclusive participation in its executive committees from all tribes, religions, Dalit, Madhesi, Janajati, Women etc. iii) It has given priority to the thoughts, will, and aspiration of the people. iv) It has tried its best to strengthen the national integrity and unity. Commitment: If our party becomes the largest party in our country by winning the election, we will commit the following commitments respecting the will of the citizens and the needs of the country. i)To fulfill the needs and desire of the people by respecting their will and aspirations. ii)To draft the new constitution by the inclusive participation of the people respecting the thought and will of the citizens. iii) To alleviate poverty, unemployment problems by giving priority to various training at the local level. iv)To give more emphasis on infrastructural development like health, education, and transportation. v) To ensure wider public participation and give equal opportunities to all ethnic groups, tribes, janjatis, Dalits, socially back warded communities, etc. vi) To make efficient administration by good governance in the country. vii)To provide security forces in the border area to stop border encroachment and maintain peace and order throughout the country. viii) To respect and honor those who had contributed a lot in different sectors to bring positive changes I the country. ix) To end socio-economic disparities among the people. x) To divide a country on the federal state for quick development on the basis of people's will and aspirations. Appeal: If our party becomes the largest party in our country winning the election, we will fulfill the above commitment. We always work for the development and for uplifting our nation and will give priority to the will of people. We commit our principles and try our best to fulfill the-the commitment before you. So, it is our request to cast the vote for our party. We might be able to make our party the largest party in Nepal. Our election symbol is twinkling Diyo. So, please vote for us. A group of organized people with the same political aim, ideology, objective, and program are called political parties. Types of political parties are Democratic parties and Mono party. Nepal democratic party was established in 2064 B.S. under the norms and values or respecting the sacrifice and hardship of people's mass movement II. Democratic parties are those parties which are formed under the principal and the ideology of the democratic system. Mono party refers to the single party which rules over the country. List the names of prime minister appointed after the establishment of republic in Nepal with appointment year. What suggestion would you give to the political parties which created obstructions in legislative daily being indifferent to public and national problems? I would like to suggest the leaders of their political parties who are creating obstructions by delaying the issues of public and national problems that they must be loyal and honest towards the country and the money they are enjoying each month. What sorts of roles should the political parties have for enhancement of Democracy? Explain in six points on the basis of policy, program and manifesto of the political parties in Nepal. Democracy is the fundamental base for development. Political parties have to make it even better. For enhancement of Democracy, the following roles should be played by the political parties. Consensus politics must be in the priority of all. To make sure that democracy is important for people, they should work together with them addressing their problems. Healthy and practical competition must be there among the political parties during elections. Local authority should be granted with powers to solve various problems at community level. According to the policy, programs and manifesto of the political parties, the following points have been considered. Practice of democratic norms and values with transparency and clarify. Institutional development in local to central society. What efforts should be done by the parties to increase people's belief? Write in four points. They should be honest and dedicated to their words and works and show keen interest in the development of the country. They should carefully address the problems of the people, and satisfy their needs. There should be unity, mutual co-operation and support among the political parties. They should work together in maintaining peace, security and order in the country and accomplishing the given tasks in time. What do you mean by competitive Multiparty Ruling System? Clarify the role of political parties in multiparty system in four points. Competitive Multiparty system refer to principle or democracy in which various political parties can take part in election and exist together working for the sake of the nation and nationality. This system is based on the democratic norm "Best Beats and the rest". They should live and let others live at the same time. The political parties should rule the nation as per the people's will, also known as 'popular will'. They should exist together in reciprocal relationship by supporting each other. They should be committed just for the sake of the nation and its citizens with democratic principles. Divide the class into seven groups and give the names of seven rivers of Nepal to each group. Now each group makes an announcement of opening party with the name of rivers and makes a preparation of forming the working committee drafting party constitution and getting the party registered in the election commission. Now, make a report including the task of each group. The party applies multiparty system. New working committee will be formed every five years through election. At least five percent women candidates will be included for election. Though each party had working committee with different names, no party missed the above mentioned three things in their party constitution. Finally, each group registered their party's policies and the programs of their parties. The leaders of the Nepali Congress Party and the Communist Party were united to bring multi-party democracy in the country. Are they now united to develop the country? What drawbacks do you think they have? Give three suggestions tot here leaders so that they can be more efficient in carrying out their duties and responsibilities. The leaders of the Nepali Congress Party and the communist Party especially Ganesh Man Singh and Man Mohan Adhikari were united to bring multi-party democracy in the country. They were struggling to restore the power of people, too. The sentence 'Democracy is a government of the people by the people for the people' was in their mind. Except in forming the government and becoming the Prime Minister, they are still united on behalf of the people. Lack of self criticism, ethereal interest of forming the government and becoming the Prime Minister, Unnecessary Chakka Jam and bandhas and criticism of the opponent party are some of the drawbacks of the leaders and parties. If you were the chairman of a political party, what sort of 'Election Manifesto' would you prepare for the general election? Write in brief. Strategies for peace: We believe on table talk. We become maximum flexible to settle the dispute. Infrastructures of Development: All the infrastructures should be established in order to bring about changes in the country. Education and health facilities should be provided to all people. All the villages will be connected with motor able road and supplied with pure drinking water. Human Right: All people will be provided with fundamental human rights. Balance in power: The Power of the government will be maintained in three organs of the government i.e. legislative, executive and judiciary. Foreign Policy: Nepal will apply the same foreign policy as it had been going on with. It wants to keep foreign relations with as many countries as possible. Welfare to the people: All the people should be provided with basic needs. They should get employment opportunities. Our party's government will provide allowance to the unemployed, pregnant women, old, widow and disabled. What is a political party? Write the name of major political parties of Nepal. Analyze the role of major political parties in the revolution of 2046 and 2062/20663 B.S. Political parties were banned by the government during Panchayat. Yet, some political parties carried on their activities underground. It was because of the combined efforts of political parties that multi-party parliamentary system was restored in Nepal after the mass revolution in 1990. 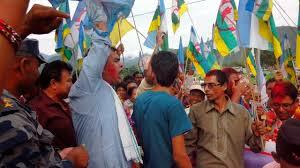 Similarly, seven political parties in coalition with Maoist brought out a 19 days-long people's movement II. It got success on 11 Baishakh when the house of Representative dissolved in 8th Jestha 2059 was reinstated. The declaration made on that day clarified that the sovereignty, royal power and right of government remains in people. Then, the revolutions formed a coalition government. The country is heading toward the permanent peace, progress and prosperity. Real democracy cannot exist is without political parties. The political parties shape the share views and ideologies. The strong foundation of any political system is the role of political party. Similarly, political participation is the based to measure the popularity, effectiveness and democratic nature of political system. What conditions are set for the establishment of political parties in the constitution? The multi-party comparative Loktantrik system is in practice in Nepal. 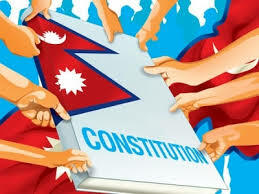 The part 18 of the constitution of Nepal 2007 has the provision of political parties. The following conditions should be fulfilled to establish a political party. 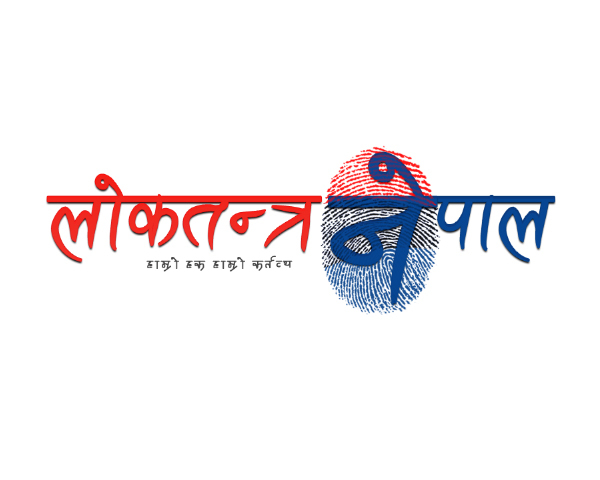 The rules and constitution of the party must be Loktantrik i.e. based on the principles of democracy and its norms. Its leaders and other members of the committee should be elected in every five years. Every political party must put forward inclusive system with the provision for the inclusion of women, Dalit including the member. Write down the composition of present government of Nepal and explain its functions also. To conduct the daily administration other country and maintain the foreign relation. To deal with the tasks of security, especially with army organization. To make economic arrangement along with the cases of tax, budget, foreign aid and loan. To work efficiently with the co-ordination of other organs of government and constitutional bodies. If you were the leaders of political party what would be your role of institutionalize the republic in Nepal. Write your four roles. After the Peoples' Movement II, we have made significant political changes in our country. As an achievement, we declared our country as a Republican country in 2065 Jestha 15. We shifted to a new political atmosphere having president as a head of a state from the Monarchial system. Yet we have many challenges. A controversy can arise in the determination of rights. I would play following role to institutionalize the republican provision in our country. I would make people aware that people are the head of nation as a new republican provision. I would request the political parties, law experts, civil society to prepare a dynamic constitution stating the rights and authorities in a new system. I would make an appeal that none of the political leaders play a dirty political game ignoring the aspirations of mass people. I would ask all to be serious in showing respect to law and order of the country. Mention the role played by Nepalese political parties in four points. When the political parties show their courage, they have proved that no any autocrats have gone successful in suppressing the people's rights of freedom and democracy. It's because of the leadership under the political parties that we have made people's constitution according to our modalities and wishes. We have experienced and undergone glorious historical achievements in a complex moment like a co-assistance with the revolting Maoist groups and holding the 19 days movement. It's because of the awareness run by political that Nepalese have overthrown the 250 years of monarchy replaced by republicanism. Write any two main political parties which have involved in the present government and mention three important works to be done by the present government. In the present coalition government, the two main-responsible parties are Nepal Communist Party (UML) and Nepal Congress. It has got support of 22 political parties and groups. It should give emphasis to make its role political consensus among the political parties to form new constitution. Honoring the target and values of peace agreement and other mutual agreements and commitments, it should accelerate the peace process without bringing political chaos and misunderstanding. People's security of their life and property, peaceful right of living, their aspirations and expectations should be addressed without ignoring them. If you were a president of any political party, what sort of programmes would you present for the coming election of legislation? Write any four programmes. I would first give emphasis to select capable and efficient candidates in each constituency areas on the basis of majority type of people living in any area. I would be in close connection and discussion with the executive members, party cadres, mobilization of party workers for publicity and interaction with the people. I would initiate the publicity committee and the central committee to prepare the election manifesto according to party's principles and policies. The manifesto will include the provision of employment facilities, inclusion and promotion of rights of women, children, ethnic groups and marginalized communities, enforcement of law actively, providing law and security stopping the border encroachment by neighboring countries, providing infrastructures of development everywhere, etc. What should be the roles of general public,political parties and civil societies to strengthen the constitution 2072BS? For how many days did Loktantra party continuously launched the revolutionary movements against the direct rule of King Gyanendra? Which is the biggest political party of Nepal? According to the present interim constitution of Nepal, what are the conditions need to be fulfilled to open a political party? In the rules of political party, there should be the provision of election of the members of all level atleast once within every 5 years. Rules and regulations should be democratic. The members from women, Dalit and unprevileged communities should be included in the executive committees of different level. Any Questions on 'Political Parties '?